British bitcoin exchange CoinCorner now allows clients to purchase bitcoin and some altcoins with debit and credit cards. The feature went live yesterday, making CoinCorner one of very few places in the British Isles to accept direct card payments for cryptocurrency. Bittylicious, a similar exchange, launched card payments back in May. 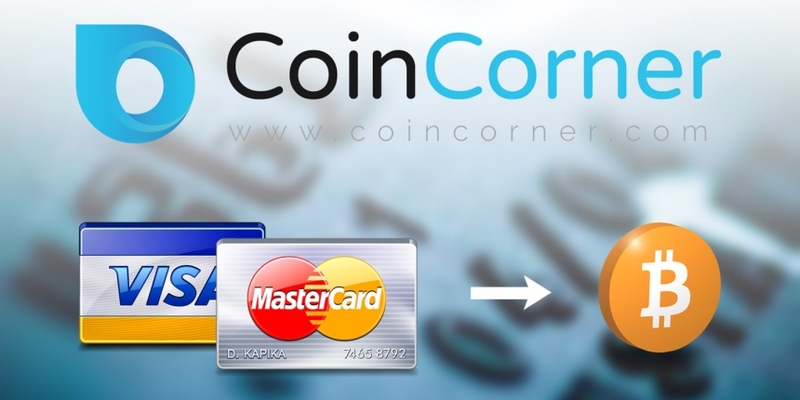 Traditional bank transfer methods are still on offer for users who do not wish to rely on cards to deposit funds with CoinCorner. Woolnough also added that the first card transactions were cleared yesterday. CoinCorner launched last July as the first cryotocurrency exchange on the Isle of Man, offering an exchange platform for bitcoin, as well as litecoin and dogecoin. The exchange said its aim in accepting secure cards is to eliminate the chance of fraud and yet open up another channel by which people can acquire cryptocurrency. Daniel Scott, CoinCorner CTO, said the new payment method provides users with another, familiar option for obtaining bitcoin. “People are used to paying for things on the Internet with their credit and debit cards and many people have asked us why they can’t pay for bitcoin with their cards. Well, now they can,” Scott said. Last month, CoinCorner launched additional services, including a mobile wallet, merchant point-of-sale (POS) solution and a payment gateway.